The present health care reform in Canada that is giving more attention on the universal coverage ensure that even the poorest people of the nation’s 33 million citizens get the right of doctor’s visits and hospital care expenses of the doctors’ visit. The share of gross domestic product on health care in Canada is 10 percent compare to the United States where the figure stands at 15 percent. However, with the soaring cost on health care due to aging population, there is an increased demand for money-saving programs in Ottawa. It needs mentioning that both the American and Canadian systems find it difficult to meet the needs of health care for the poor, psychiatric and the disabled. With the availability of a public system, it becomes easier for the organization for delivery of health care. A recent study conducted on homeless people reveals that the number of seniors, including those in Home care for homeless in Toronto is twice in comparison to what it was four years ago. Among the homeless group, the veterans, aboriginal people and gay youth comprise the larger share of the homeless people. The study also reveals that the homeless youth who are under 21 years of age comprises 19 percent and are identified as LGBTQ, while 16 percent surveyed said that they had served in the military. The aboriginal people accounted for 16 percent of the total homeless, though they are a disproportionate section, accounting for a third of those living outdoors. It needs mentioning here that about one percent of the people of Toronto are aboriginals. In the meantime, the number of homeless seniors have doubled since 2009. People of 61 years and older accounted for 10 percent of the homeless people in Toronto. The mayor of Toronto called for measures to get the people off the streets and provide all the necessary help required, irrespective of whether they are drug addicts, alcoholics or having mental illness. The city council this April asked officials to try in making available over 200 more shelter beds for the homeless. Although, the official figure tells that the shelter system of the city is ninety-six percent full on an average, little has changed since then as more people are seen sleeping outdoors. Shelter, Support and Housing Administration, the authority that conducted the survey said that the result is not conclusive and a thorough report will be released in September. The survey however revealed a demographic representation of Toronto’s homeless people and the way they lead their life. The Seniors’ Secretariat of Ontario noted the fact that more of seniors are there in the population now than ever before. But the concerning fact is that the rate of increase of the seniors who are homeless is higher compared to the overall rise. Between 2006 and 2011, the hike in Toronto’s senior population was 12 percent whereas the figure has more than doubled between 2009 and 2013. 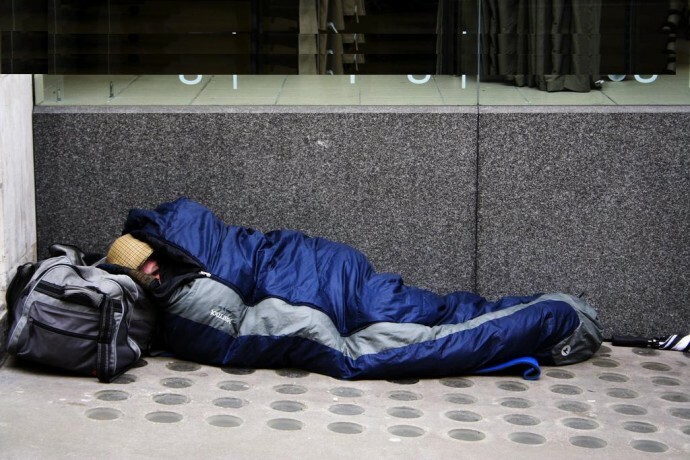 The homeless population of the city has risen by half since the last survey was conducted.